Gasoline prices have continued to rise now for 35 straight days. Gas pump prices have climbed for 35 straight days even though industry surveys show Americans have started to drive less. The national average rose by a penny to hit $3.87 per gallon on Tuesday, more than a dollar higher than it was last year. Experts say prices should keep rising for the next few weeks before weaker consumer demand forces prices to drop. “We’re going to see prices keep bumping up for three, maybe four weeks,” energy analyst Jim Ritterbusch said. Eventually less travel will take its toll, Ritterbusch said. This trend has produced oil futures prices at the highest levels since 2008 when President Barack Obama began his anti-fossil fuels policies, including government subsidies for “green” energy. 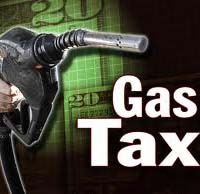 Now and as reported by Jim Kuhnhenn in “Obama reissues call to end oil company tax breaks,” at the Associated Press, President Obama’s response to the problem of rapidly increasing gasoline prices is to raise taxes even higher on gasoline producers. In so doing, Obama described tax breaks for oil companies as “subsidies” as if paying less taxes is equivalent to receiving more funding from the government. As a result, Obama continues his demagoguing of tax reductions as “subsidies” while supporting government bailouts and subsidies, calling them “investments.” Most economists agree that raising taxes on oil production will result in even higher prices for consumers. The solution instead is to end the moratorium on oil drilling and the draconian restrictions on fossil fuel production in the U.S.
Amid rising gasoline prices at the pump, President Barack Obama urged congressional leaders Tuesday to take steps to repeal oil industry tax breaks, reiterating a call he made in his 2012 budget proposal earlier this year. The White House conceded his plan would do nothing in the short term to lower gas prices. The president wrote a letter to the bipartisan congressional leadership on Tuesday, a day after Republican House Speaker John Boehner said he was willing to “take a look at” repealing the multibillion-dollar tax subsidies enjoyed by the major oil companies. “High oil and gasoline prices are weighing on the minds and pocketbooks of every American family,” Obama wrote. But he also added that “there is no silver bullet to address rising gas prices in the short term.” . . . The Republican response to the president’s letter was dismissive. A Boehner spokesman, Brendan Buck, said Tuesday that Obama’s suggestions “would simply raise taxes and increase the price at the pump.” Buck said that Boehner’s willingness to examine a subsidy did not mean he was advocating its repeal. Senate Republican leader Mitch McConnell said: “The president’s latest call to raise taxes on U.S. energy is as predictable as it is counterproductive.” . . .